British Icons. Global Legends. Reborn. 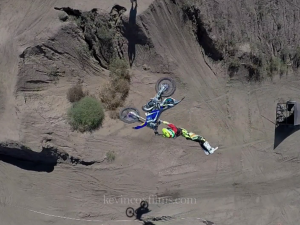 Great Video and edit of the new Husqvarna 701 Enduro shot and edited by Manuel Eder / Airos-records. Photos by R.Schedl. 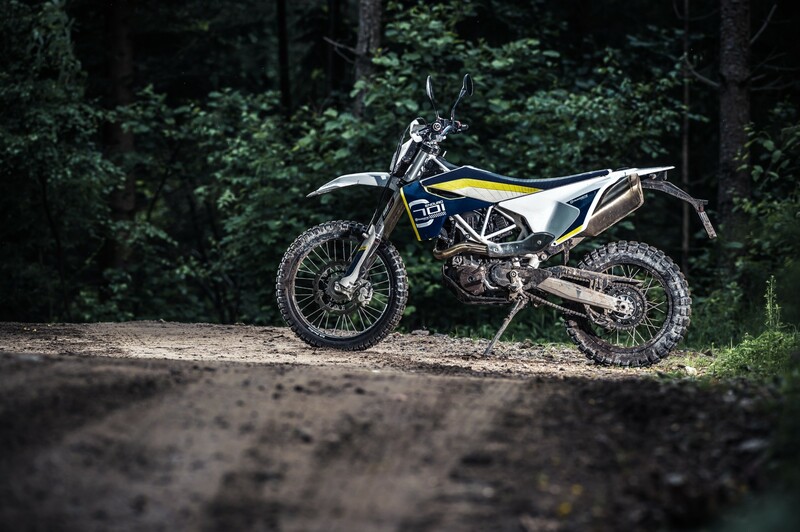 Utilising its vast knowledge of offroad competition bikes, Husqvarna Motorcycles returns to the street dual sport segment with the 701 ENDURO – continuing the brand’s more than 100-year heritage in all motorcycle divisions. 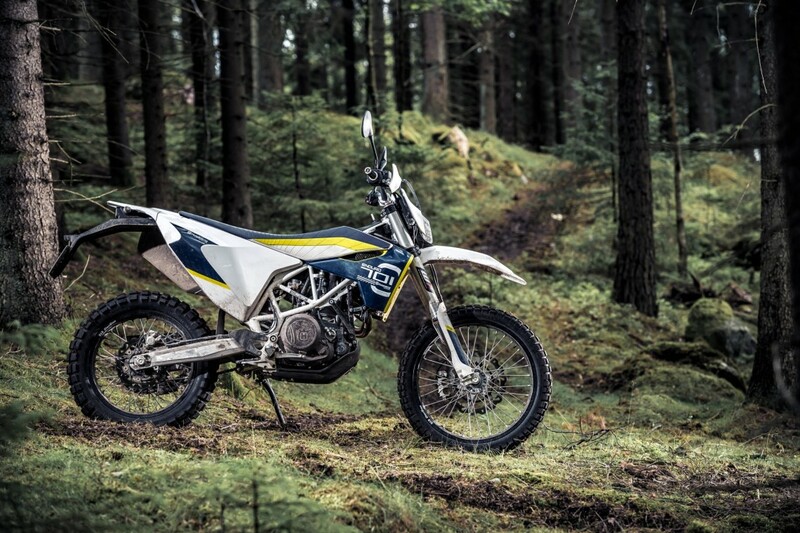 Faithfull to the iconic brand’s core values, the 701 ENDURO is a machine built from the ground up to lead in terms of power, weight, technology and performance. Combining state-of-the-art equipment with unique bodywork, it offers functional Swedish-inspired design. 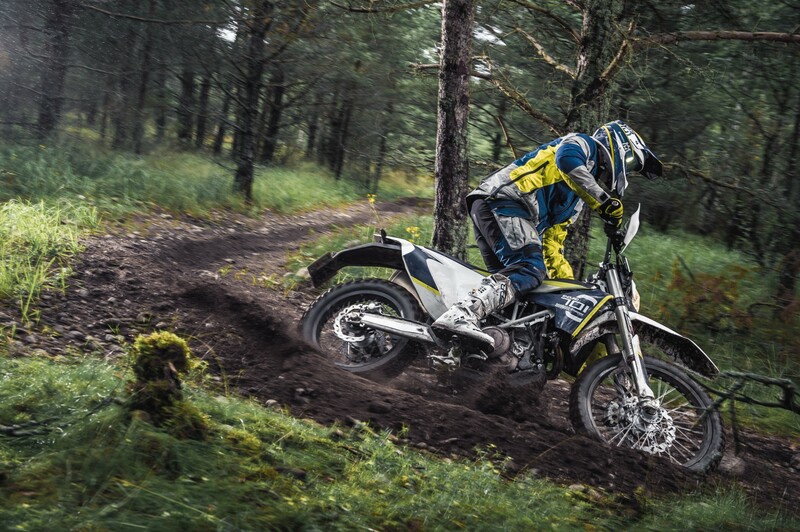 Bred from decades of enduro world championship-winning success the 701 ENDURO has the ability to master both urban environments and demanding offroad terrain with equal composure, ensuring impressive levels of versatility. Featuring class-leading technology the 690 cc engine, which produces 67 hp, has a double spark plug ignition, selectable engine maps and ride-by-wire throttle, which combined provides a perfectly linear power delivery. 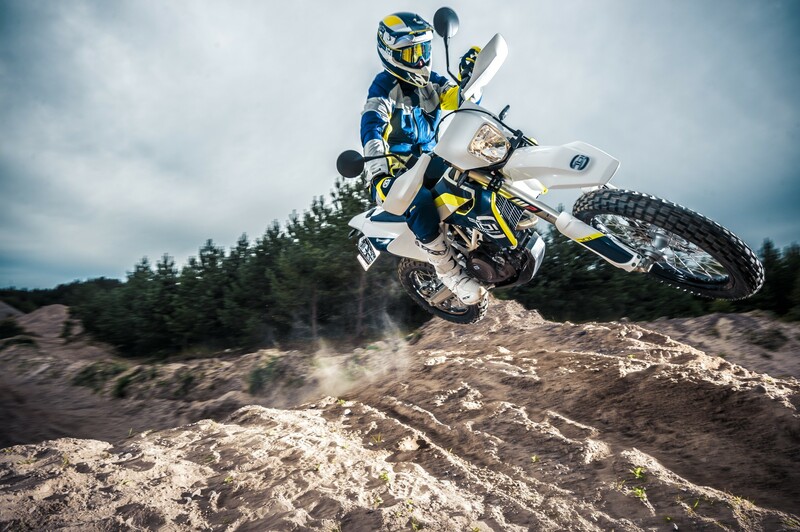 With its crisp throttle response the engine allows riders of all levels to confidently tackle both their next offroad adventure as well as the daily commute aboard the 701 ENDURO. Reliability, durability and efficiency are guaranteed by high-tech applications such as the active crankcase evacuation and the forced lubrication system, which reduce oil friction and pump losses. The adoption of these innovative solutions brings long 10,000 km service intervals and extremely low fuel consumption. The 701 Enduro has innovative bodywork featuring a long seat that reaches over the radiator shrouds with functional ribbing to improve grip in all conditions. The in-mould graphics on the subframe protect the integrated fuel tank while also ensuring an elegant look to the rear of the bike. Tightly wrapped around the engine and frame, the 701’s bodywork is ergonomically designed to connect the rider’s body to the bike. Made of high-grade chromium-molybdenum steel the 701 ENDURO’s lightweight trellis frame has been developed to offer optimum feedback for both on road and offroad use. Combining a perfect weight distribution with a tight turning circle the trellis frame harnesses the power of the single-cylinder engine, guaranteeing flawless agility and stability in all kinds of riding conditions. WP Performance has tuned the closed-cartridge 4CS forks specifically for the 701 ENDURO, which find their perfect match in the fully-adjustable WP rear shock. For perfect all-terrain riding capabilities both front and rear suspension offer 275 mm of travel. A super lightweight die-cast aluminium swingarm matches with the self-supporting polyamide rear subframe to further enhance the bike’s astounding power-to-weight ratio. For optimal weight distribution, and long ride peace of mind, a 13-litre fuel tank is integrated into the subframe. A set of anodised CNC machined triple clamps with precisely engineered flex adds to the 701 ENDURO’s extensive list of superior quality components. The advanced ABS system with offroad specific settings, Brembo brakes and the hydraulically operated slipper clutch guarantee total control in all conditions. 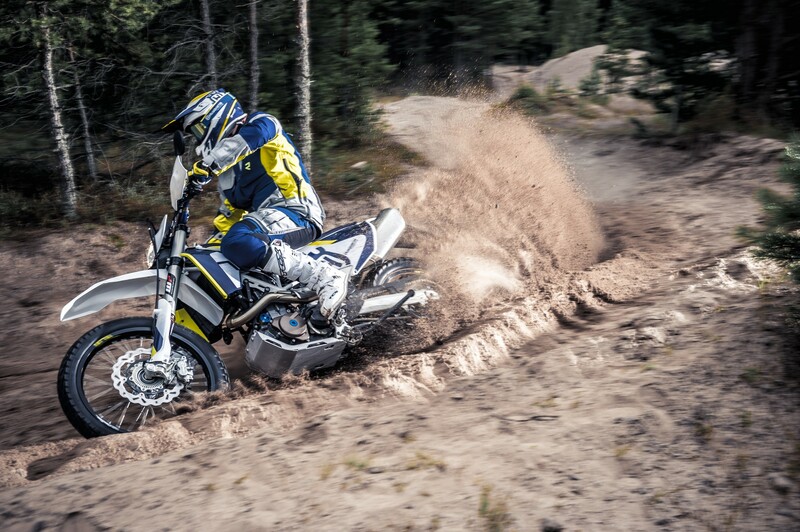 The 701 ENDURO comes with high-quality black DID rims as standard, fitted with tried and tested Continental TKC 80 tyres on the 21’’ (front) and 18’’ (rear) wheels. 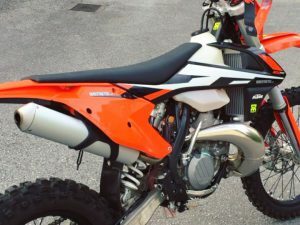 With the specific A2 engine map that limits power to 30kW, the 701 ENDURO can be ridden by A2 licence holders (dependant on country regulation outside EU) hoping to become true world travelers. 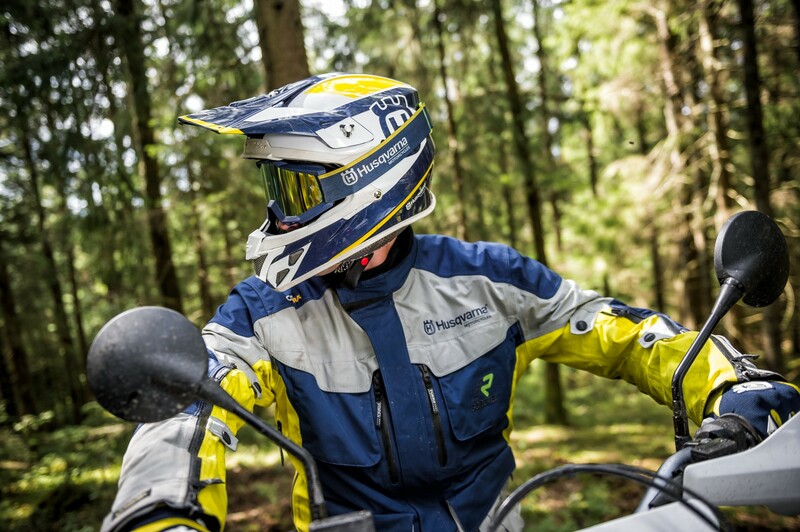 An extensive range of specially developed Husqvarna Motorcycles’ Accessories further improves the 701 ENDURO’s formidable capabilities. 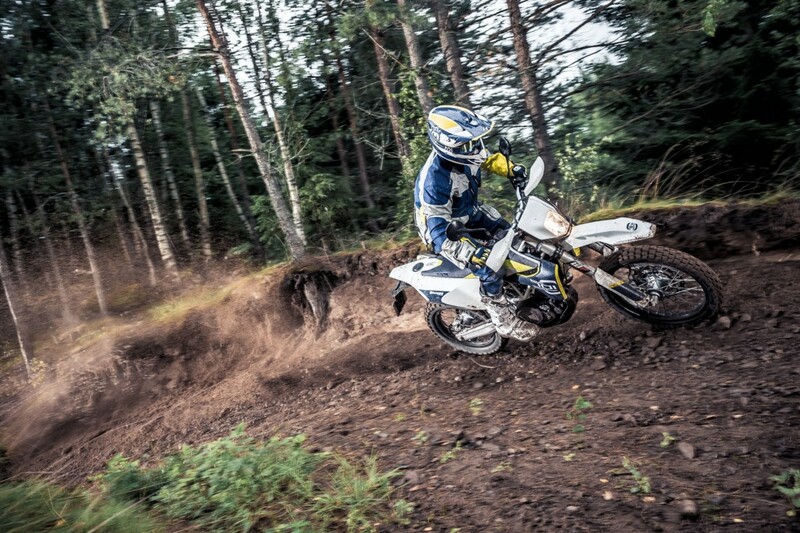 Premium quality enhancements to style and performance allow riders to tailor the 701 ENDURO to their specific needs. 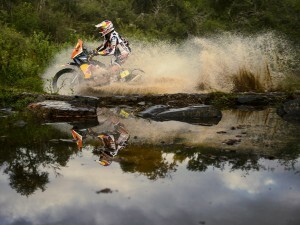 Additionally, within its Clothing range Husqvarna offers purposely designed clothing for 701 riders. The Husqvarna 701 ENDURO will be available from November 2015 (February 2016 in the US and Canada) at authorised Husqvarna Motorcycles Dealers. 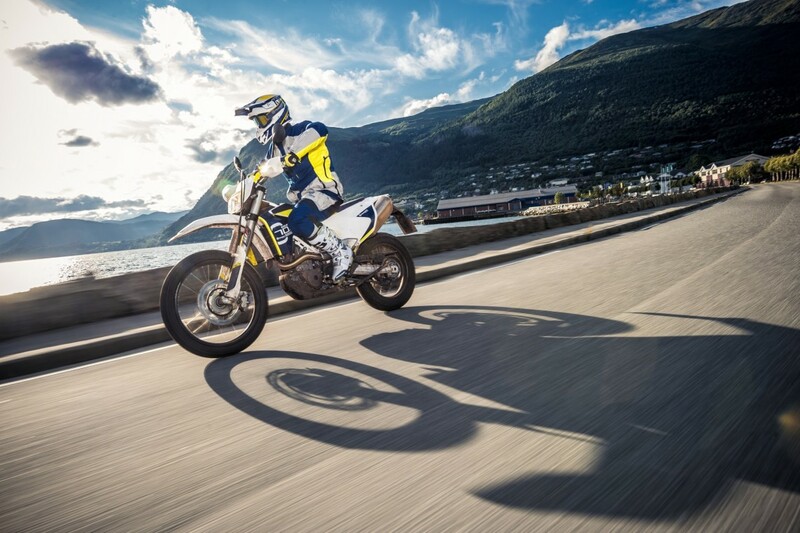 The official retail price will be further communicated by the national Husqvarna Motorcycles subsidiary or Importer. 67 hp single-cylinder engine featuring latest technologies in design and electronics. Chromium-molybdenum trellis frame optimised for precise handling and total rider confidence. 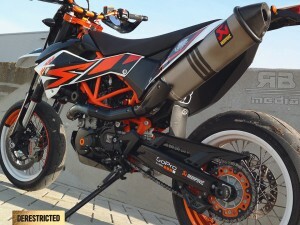 Competition-level WP 4CS fork and WP rear shock for outstanding control and adjustability. Extremely low-weight aluminium swingarm designed to ensure the highest levels of traction and stability. Polyamide self-supporting rear subframe with integrated 13-litre fuel tank. Keihin 46mm electronic fuel injection with ride-by-wire throttle actuation for impeccable response. Switchable engine maps to perfectly adapt engine characteristics according to conditions. Cutting-edge switchable ABS with specific offroad mode. APTC slipper clutch for maximum control under hard braking. Extensive range of Accessories to further enhance the bike’s characteristics and performance.